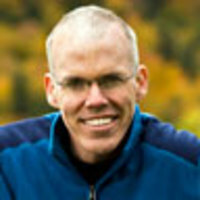 Hurricane Sandy offers a terrifying look at what may be in store for us, says Bill McKibben. Watching Sandy on her careening path toward the Eastern Seaboard scares me more than it would have 15 months ago. That’s because my home state took the brunt of Irene, last year’s “sprawling,” “surly,” “record-breaking” Atlantic storm. I know now exactly how much power a warm sea can contain and how far that pain can spread. You can’t, as the climate-change deniers love to say, blame any particular hurricane on global warming. They’re born, as they always have been, when a tropical wave launches off the African coast and heads out into the open ocean. But when that ocean is hot—and at the moment sea surface temperatures off the Northeast are five degrees higher than normal—a storm like Sandy can lurch north longer and stronger, drawing huge quantities of moisture into its clouds, and then dumping them ashore. Last year that dumping happened across Vermont. In some places we broke absolutely every rainfall record. It turned our streams and rivers into cataracts that took out 500 miles of state highway. A dozen towns were left completely cut off from the rest of the world, relying on helicopters to drop food. I know the odds are slim that we’ll find ourselves in the bull’s-eye again. But someone will. This time the great damage may be along the coast. Even as we’ve built up our coastal populations, sea level has begun to climb. There are already cities along the coast that flood easily at the month’s high tide. This storm may hit when the moon is full, and it may dump so much rain that the water will be coming from both directions. Or maybe across the Appalachian highlands will be where it does its biggest damage, mixing with an inland storm front to dump snow on forests still in leaf. But someplace is going to take it on the chin, maybe harder than it ever has before. And that’s the world we live in now. James Hansen, the NASA climatologist, published a paper earlier this year showing how the seemingly small one degree we’ve already warmed the earth has made extreme weather far more likely. The insurance industry has published a series of warnings in recent years saying the same thing. The world grows steadily more unpredictable, and hence we grow less comfortable in it. Our relationship to the world around us is shifting as fast as that world is shifting. “Frankenstorm” is the right name for Sandy, and indeed for many other storms and droughts and heat waves now. They’re stitched together from some spooky combination of the natural and the unnatural. Some state will doubtless bear the brunt of this particular monster, but it also will do its damage to everyone’s state of mind.